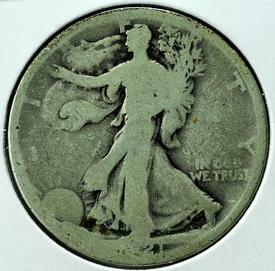 A 1921 D Walking Liberty Half Dollar. 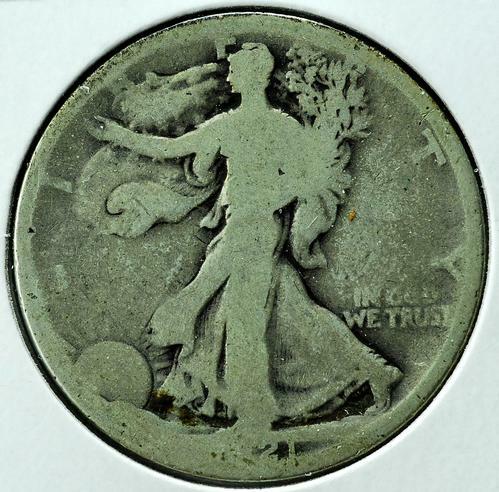 Key date in the walking liberty Half dollar Series. Well worn example but still a tougher coin in any grade.